Did you know that around 20 per cent of the food we buy goes to waste and ends up in landfill where it produces the harmful greenhouse gas, methane? 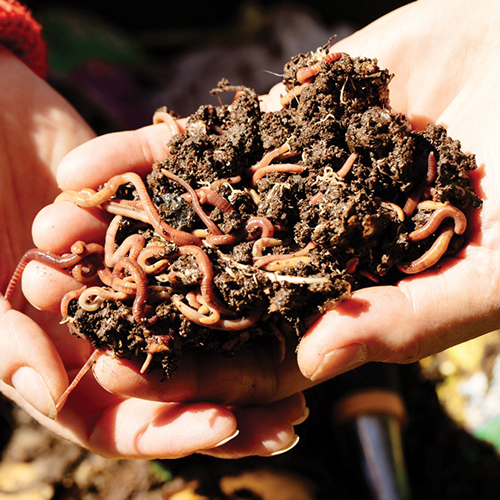 Worm farms are a great way to divert food waste from landfill and provide rich fertiliser for your garden. Small café-style worm farms are easy to keep and are suitable for singles and small families. Larger worm farms like the Hungry Bin can process up to 2kg of food waste each day and are suited to larger families, schools and businesses. To order subsidised worm farms and compost bins visit Compost Revolution.